Michael has been a Mortgage Loan Originator since 2001. He is committed to providing each and every client he serves with 'Client for Life' service. He has built a strong referral based business by exceeding is clients expectations of the loan approval process. Michael measures his success, not based on the number of closed loans, but rather on his client's feedback on their experience working with him, and their willingness to refer their family, friends, and co-workers. To Michael, closing your loan on time is to be expected and doesn't constitute good customer service. Great customer service is taking the time to understand his client's individual goals and objectives for what is likely the largest financial transaction of their lives, and then meeting or exceeding those goals and objectives. Michael Brosmith has always treated us like old friends. He went above and beyond to explain every step of the process. After we purchased our home a few days later Mike called to make sure all our expectations were met during the closing. Mr. Brosmith and his staff were patient and kind to me and very informative. I had no idea what I was doing and they guided me through everything. Soup to nuts. He answered questions before I even asked. Always the professional. Mike was phenomenal to work with! From the initial prequalification, to underwriting, to closing, Mike never missed a beat. He communicated promptly, efficiently, and was very detailed ensuring a smooth transaction with stellar customer service and on time closings. Outside of the development partnership, I also referred my clients to Mike as I knew they would be given professional advise and I trusted him to provide my clients with his mortgage products. I worked with Michael Brosmith on a mortgage loan in 2007, when it seems many in the field were being swamped with people looking to refinance. Despite the volume someone with Michael’s strong reputation attracted, we always got the information and service we needed to close on time. What I liked about dealing with Michael was you weren’t going to hear just what you wanted to hear for the loan you first contacted him about – he was going to tell you the up and downside of that loan and then compare it to your other options, some of which we weren’t even aware. If you need to hear from him, he’s going to get back to you promptly and you’re going to be very happy you chose him to work with, by the time it’s all sealed up and delivered. I’d highly recommend Michael to anyone – you’ll be extremely satisfied. I will greatly miss Michael Brosmith in our marketplace. I am a REALTOR in the Greensboro area and over my 40 years I have worked with some really good mortgage bankers and some absolutely horrid ones. Michael is one of the great ones. I could always breathe a sigh of relief when a client agreed to work with Michael or whether a buyers' agent was working with him on a cross sale when I was the listing agent. In the 18+ years I have workers with Michael, he was always thorough, prompt, and communicated efficiently with me, at least weekly. He is one of the few lenders that understands we are on the same team and we need to keep the client as comfortable and calm during the transaction as we can. I think we both share the skill of minimizing the concerns even when some situations are pretty dicey, and that skill only increases with experience and knowledge. It's easy to see why he has built his business with "clients for life"! I am definitely keeping his contact info on my phone! I have known Michael Brosmith for over 5 years when Mike originated my home loan. I was so impressed with Mike's professionalism, his competitive mortgage rates and his commitment to service that I began referring my clients to Mike for all of their mortgage needs. Mike has always done an excellent job even with the most difficult of cases. There were times I didn't think a loan was possible but Mike's tenacity overcame all objections and was able to get the loans closed and on time! 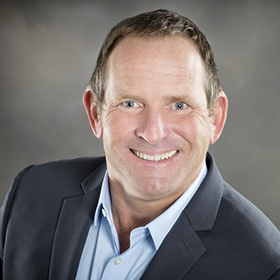 Mike has always been punctual, accessible and very clear in all communications and because of my past experience with Mike and his outstanding credibility, I would highly recommend Mike. I recently purchased a house in 2017 and was looking to get a portion of it refinanced. I was referred to Michael Brosmith by my financial advisor and am very pleased with that suggestion. Michael had great suggestions as to what my options were and what lender programs were available. The entire process went along without a hitch as I was kept informed during the entire process. We ended up closing on the loan within the time frame Michael had originally stated and there were no unexpected surprises at the closing table. I never had a problem getting in touch with Michael, and usually, he called me first to inform me of the loan progress and to let me know of information and documents that were needed from me. The entire process was as effortless and pleasurable an experience as procuring a loan can be. I would unconditionally recommend Michael Brosmith to anyone seeking a mortgage loan. I wholeheartedly trust and admire Mike and his work. He steadfastly exceeds my expectations. I profusely recommend him with highest regards. On a scale of 1 to 5, I submit that he deserves a 10. I have always been extremely satisfied. My wife and I have been working with Mike Brosmith since 2007 when we closed a mortgage loan for our home in North Carolina. CFL was introduced to us as “Client For Life” and truly Mike has fulfilled that promise. He assisted tremendously on our first closing making sure we met all the requirements to get the closing done within one month of the offer, which was a difficult commitment for other companies. He also assisted us in the refinancing at a later date. Even though we have not refinanced or had the need to close another mortgage after these 2 occasions, we have relied on Mike’s advice as a home mortgage finance professional. He was always accessible, prompt and never hesitant to answer questions at any level which helped us understand the market more. Mike was always available to ask questions. He walked me through the process and for a first time buyer, that was a great comfort. Thanks Michael. More great service from the Sierra Pacific team! Licensed in Florida MLD219. Licensed in North Carolina L-127865. Not Licensed in the State of New York.